The SPACE GEAR U-44 makes it possible to perform high speed, high accuracy laser cutting of different materials and different thicknesses the same as 2D laser processing machines. The quality of the laser cutting is the same at any table location. High value-added laser cutting, such as bevel cutting, cubic workpiece cutting, and processing of pipe and structural material can be performed. This system provides unsurpassed productivity thanks to automatic part loading and chuck clamping by NC program making it possible to perform unmanned operation. Setup time is considerable reduced by the ability to cut multiple workpieces from a single long pipe. 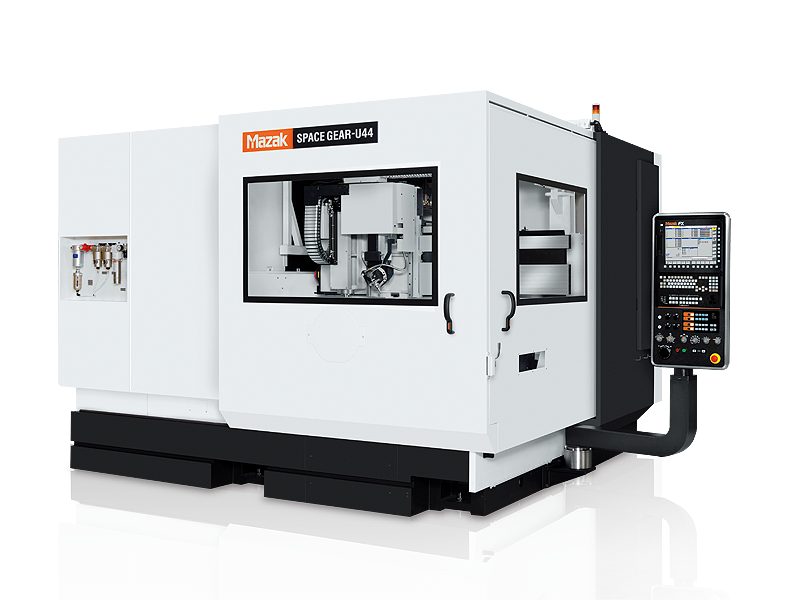 NC programs can be conveniently made by using Mazak FG CADCAM software.